Editor’s note: Cart2Cart supports automated migrations from Amazon Webstore to all the platforms mentioned below, as well as to other 65 e-Commerce solutions. So, if you’ve already made up your mind about which platform to migrate to - launch a free Demo Migration right now! As everyone knows, all things come to an end eventually. Well, except, perhaps, The Rolling Stones. And, to prove this fateful rule once again - Amazon Webstore has announced its closing in 2016. Therefore, a substantial number of platform’s users are now faced with some challenging decisions. Which shopping platform is the most suitable for my e-Commerce business? Can I get a good functionality for a reasonable price? And, finally - how do I migrate all my entities to a new solution? And, if you’re one of them - this article is just for you. As many of Amazon Webstore users are anxiously seeking for a worthy cart, it’s probably not the best time for congratulating them with becoming open to the new opportunities. But, then again, maybe it is. Since e-Commerce market is expanding with a cosmic speed, it is, currently, flooded with a wide choice of competing shopping carts. Some of the platforms provide its own hosting, and an extreme ease of use, whilst other, open source ones give greater customization opportunities and a bigger risk. The thorough comparison along with selection from all that market has to offer, might take merchants plenty of time. And, therefore, we’ve decided to narrow this choice for you. 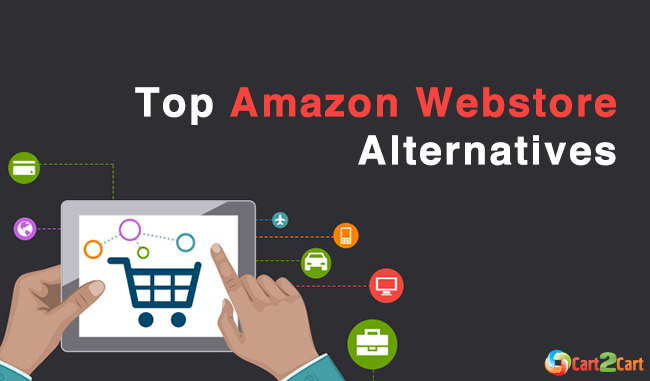 Thus, today we’ll describe the four Amazon Webstore alternatives that present an overall progressive functionality and can be integrated with FBA and Amazon Payments by themselves, or through additional plugins. 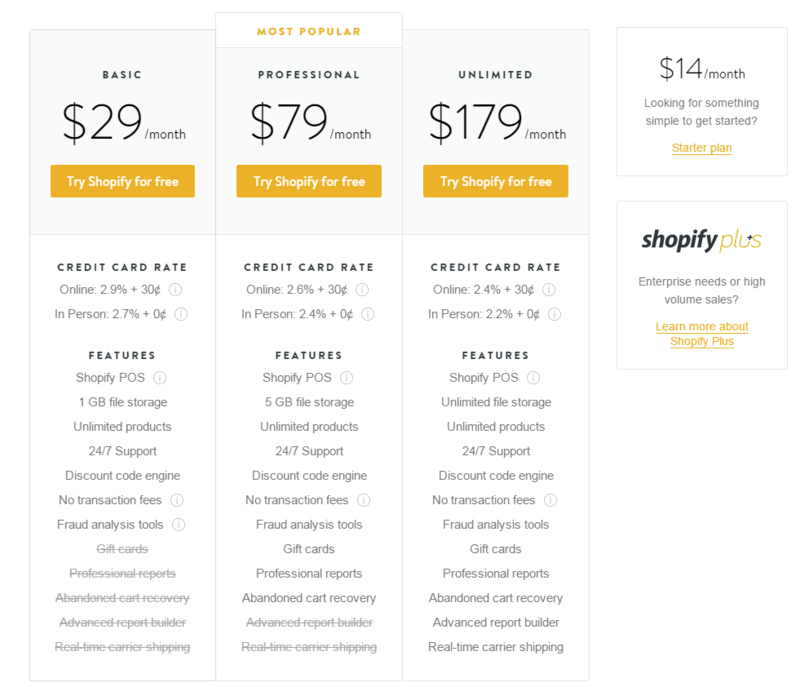 Shopify, that is often referred to as No.1 hosted solution, has definitely deserved all the high praises. Beside presenting a comprehensive set of features, it provides an unprecedented website speed and ultimate hosting security - all for moderate prices with a 14-day trial period. Moreover, since Shopify has Fulfillment by Amazon included on its shipping pages by default, merchants will be able to activate it a few clicks. The more detailed information can be found here. Currently, platform has nearly 100,000 of clients around the world, and it’ll welcome the functionality-seeking merchants from Amazon Webstore with open arms. Keep in mind, that you’ll have to install the appropriate Amazon Market Place module in order to integrate your PrestaShop store with FBA, and perform other synchronizations with Amazon. The plugin costs 199 pounds, is fairly easy to install and activate and can found on PrestaShop’s marketplace. Enjoy! Providing both free open source and paid option, Magento is one of the most recognized platforms in the current e-Commerce world. Its most popular Community Edition might not be as user-friendly as the two carts mentioned above, but it is free, and provides users with a plethora of advanced tools for just about any management aspect possible. Magento is preferable for merchants that have large stores with thousands of products in them. Apart from the vast customization opportunities, it boasts of very modular architecture, great internationalization opportunities, substantial user’s community and world’s largest application marketplace - Magento Connect. On the other hand, Magento Enterprise is a pricier version of this platform, and it untiringly claims to be, by far, the best solution for the big and fast growing businesses. So if you have a substantial retailer, a vast turnover and not enough time for a thorough store management - welcome to Magento Enterprise. Being launched in 2009, BigCommerce has gathered a substantial army of users, and became one of the most dangerous Shopify competitors. We might say that the platform is just as powerful as its main rivalry functionality-wise, but, it is slightly more complicated, when it comes to user experience. Nevertheless, if you’re prepared to dedicate a little more time to master tech-skills, your efforts will, very much, pay off. Besides providing great design templates and hosting stability, BigCommerce presents some truly advanced tools for product management and reporting, far more comprehensive, than basic Shopify ones. As for the integration with Fulfilment by Amazon, at this point, you still need to involve a third party to do it. However, platform's officials keep promising to work on that, so, maybe, on the occasion of Webstore’s closing, they’ll provide an automatic integration in the nearest future. This has been the list of shopping platforms, that, in our opinion, would make a great replacement for Amazon Webstore users. However, we’ve mentioned only four suitable shopping carts, whereas there are hundreds of them on the current e-Commerce marketplace. So, consider our recommendations, but also make a little market research on your own to see if there’s an Amazon Webstore alternative that would fulfill your business needs the most accurately. However, If you’ve already made a decision, don’t waste your time and perform an automated migration from Amazon Webstore to any of 60+ world’s most popular shopping carts. Take a look at how your store will look like and try out free Demo Migration now! One thought on "Top Amazon Webstore Alternatives. Where do You See Your e-Store in the Future?"